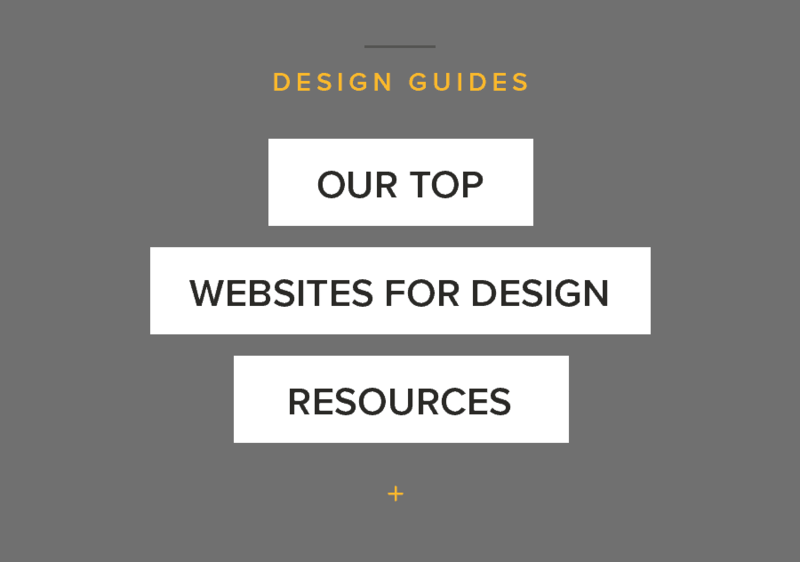 We’ve listed some of our favourite websites for design information and resources. We’ll admit it, this is partly an easy way for us to bookmark some of the sites we use, but if you get some use out of the list, then we’re cool with that too. So let’s get sharing. If you’re like us, you love to design for print, but you’re not a robot. Paper sizes is a one-stop shop for finding the exact dimensions for all international standard documents from Business cards to billboards and everything in between. A great online image compression tool that supports 4 kinds of image types and promises up to 90% image compression. A great way to keep your website light and free from heavy downloads. Adobe Colour is a simple colour tool for designers that allows you to create quick and easy colour palettes based on standard colour harmony theories. You can save themes and browse public saved colour themes, better yet if you like what you see you can save the colour pallet directly to your Adobe CC account and straight into your design programs. We all love a bit of colour, and gradients are a great way to get strong or subtle colours into a design. There are many great tools for quickly finding gradient examples but CSS Gradient has put the best ones in a single location. Similar to Adobe Color – Colormind BootStrap gives the user a quick and easy way to test colour palettes on an existing layout. Giving the colour combinations some context and helping with selecting the final colours. A super quick and dirty way to preview your website in various resolutions. Of course, this is no substitute for actually testing your website on specific mobile devices but as a simple preview, it’s a gold mine. Amazingly crafted mockups to take your design concepts to the next level. With a huge library of mockups already available and growing. If you sign up for a membership plan you can even request custom mockup templates to be created. Yeah, good photos are hard to find and nothing can replace having custom photos for your business marketing material and websites, but sometimes you need to work with what you have. Premium quality royalty free stock images with a range of price points and sizes to suit large scale print projects. One of the largest resources for images boasting over 200million royalty free images. If you have no photographer, and you have no budget for photos, what do you do? Well, take a look at the list of our top free websites for image assets. The latest and greatest rebrands around, showing some of the biggest companies before and after. We all have our favourite font’s and we all have those we’d love to use. Sometimes seeing them in action can really inspire something new. With so many sites dedicated to Logo Design, logo design love is not only a great book but a great online resource. An absolute giant resource of printed design material from booklets to packaging, this website has it all. Love beer? Love design? Love packaging? Look no further. Eyecandy aplenty.